Once in a while my boys deserve a special little treat for breakfast. Usually it's pancakes or waffles, or more often than not some kind of muffin. 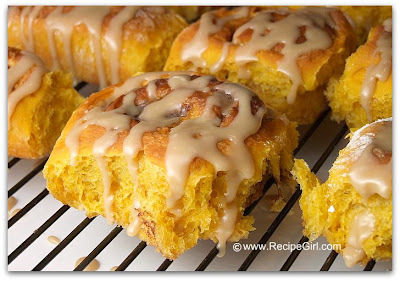 This day, I chose Amish Pumpkin Cinnamon Rolls with Caramel Icing. Perfect for downing with a mug of milk before a morning hike. 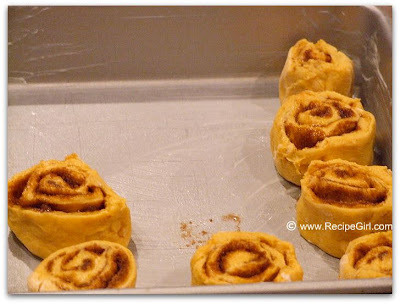 I started these the night before, refrigerated them cut and in the pan, and took them out for the 2nd rise the morning of baking. 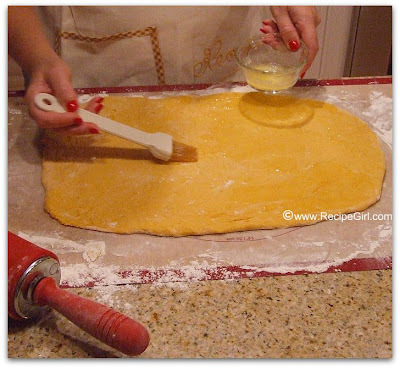 After prepping the dough via a small amount of mixing, it's rolled out rectangle-style and spread with melted butter. 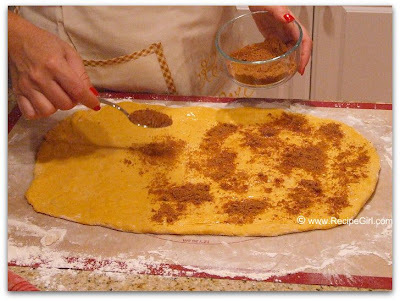 Then it's sprinkled with cinnamon & sugar. 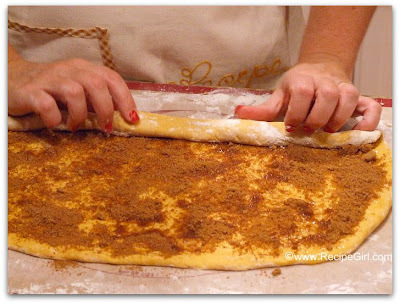 No nuts or raisins are crowding their way into this cinnamon roll. 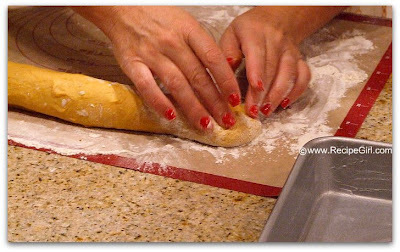 1-inch slices are gently cut. Slices are placed into a greased 9-inch square pan. This is the part where you can decide if you'd like to refrigerate them overnight or let them rise now and bake. 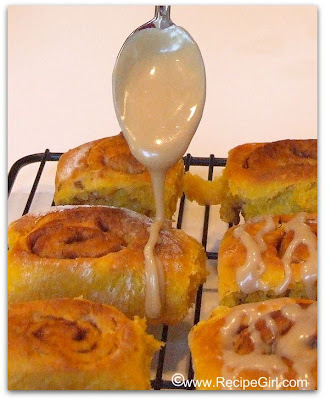 Cinnamon rolls aren't truly cinnamon rolls without a good dose of icing. This is a caramelly flavored icing... the best kind. Ready for consumption (and a long hike)! Our family has a special Thanksgiving morning tradition that I'll share with you. After our special breakfast, we take a hike. And on that hike, we go through the alphabet and we each share things we are thankful for. Dad says, "I've got A. I'm thankful for A____ because _______. Mom says, "I've got B. I'm thankful for B____ because _________. etc... It's really quite a nice way to start the day. I hope that you all have a wonderful, safe and happy Thanksgiving.